Super Bomberman R (game, 2017). An action-maze video game by Konami Digital Entertainment. Developed by HexaDrive, Konami Digital Entertainment. Official Trailer. Super Bomberman R is an action-maze video game by Konami Digital Entertainment, developed by Konami Digital Entertainment and HexaDrive. 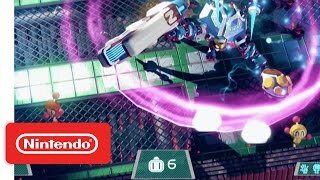 Super Bomberman R - Official Nintendo Switch Trailer. The game features a rebooted plot of previous Super Bomberman games. It starts in a robot scrapyard, where Emperor Buggler resurrects five robots to be his new henchmen, the Five Dastardly Bombers. Meanwhile, on Planet Bomber, live the Bomberman Brothers; eight robotic lifeforms created to be heroes of the universe. Unfortunately, only the eldest brother, White, has the mentality and discipline associated with this role, and has no luck getting his younger siblings to take their mission seriously. Black is a self-absorbed slacker, Pink is more concerned about fashion and gossip, Blue sleeps all day, Red is an out-of-control hothead, Yellow is innocent to a fault, Aqua hates violence, and Green is a cunning sneak who uses his status as the baby brother to manipulate his siblings. During yet another of White's attempts to get his siblings to train with him, their television begins broadcasting a signal from Buggler, who proclaims his goal to conquer the universe and shows that his army has taken control of the five planets of the Starry Sky Nebula; swearing that all other planets will soon follow. He offers a challenge to anyone who would defy him to fight his Five Dastardly Bombers. White immediately takes up the challenge and forces his siblings to come with him as he heads to the Starry Sky Nebula to face the Buggler army. 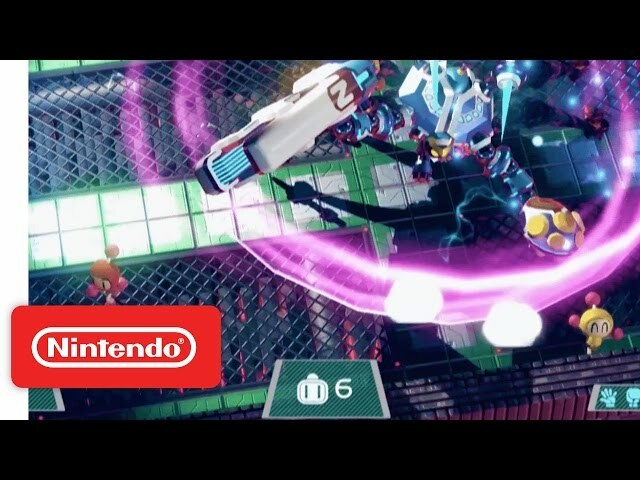 Super Bomberman R is an action game in which players move through a two-dimensional grid environment and must trap and drop bombs to defeat their opponents. The game features story mode spanning 50 stages and supports cooperative gameplay for two players. The game also features an eight-player competitive multiplayer mode. The Online-Mode contains a league system (Baby A/B, Novice A/B, Amateur A/B, Pro A/B, Champ A/B and God A/B). Starting in Baby league B the player has to win matches to gather and earn points for advancement. Super Bomberman R was scheduled to be released by Konami Digital Entertainment on March 3, 2017 and on June 12, 2018.